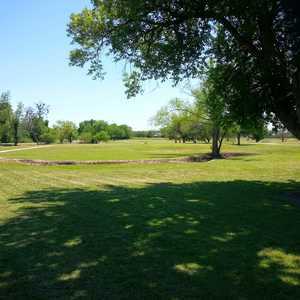 Bonham’s country club lays out around a creek that meanders through the course and comes into play as the primary obstacle on 8 out of 9 holes. The short course, void of bunkers, opens up with a nice, short par 3 that only requires a 9 iron at most. 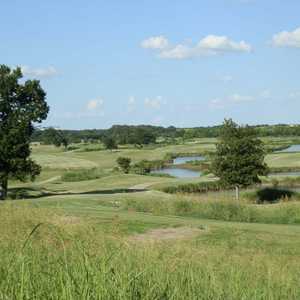 Bonham’s newest golf course has the natives all excited about their new Bill Johnston design, created to serve as the centerpiece of a unique residential community. 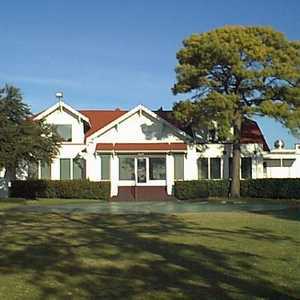 With the benefit of several unique landscapes at his disposal, Johnston built a front nine that starts high and weaves through lakes and waterfalls, smoothly transitioning into a parkland-style route highlighted by pecans and oaks.